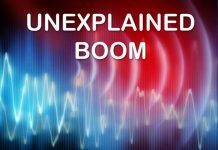 What is the source of these mystery booms and rumblings heard and felt in Sutherlin, Oregon? 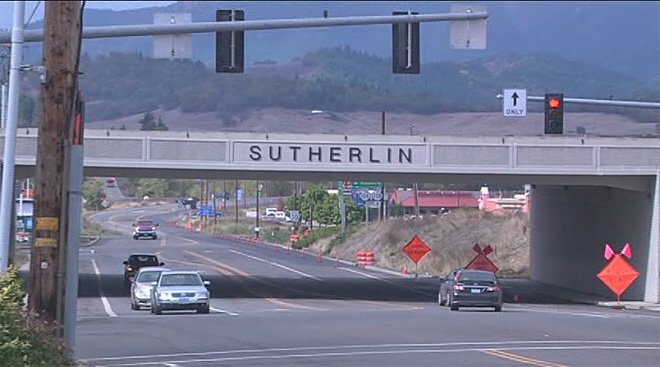 SUTHERLIN, Oregon – May 9, 2014 — A mystery boom and rumblings were felt by residents of Sutherlin on May 9, 2014. The source remains unknown. Neither damages nor injuries have been reported. 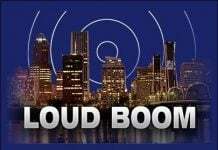 Some people speculate it was thunder, while others have reported a smoke cloud near Cooper Creek. “I was sitting on my couch and I felt the house shake and a loud boom with it, so I looked out the window to see if a semi had wrecked. I actually saw this happen. 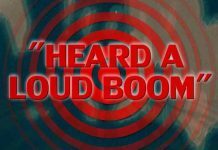 It made a large mushroom cloud on a nearby mountain, and yet the county told people it was thunder. It had to have been dynamite, or some kind of explosive, and yet still no authority has any explanation. Could be tannerite, but don’t know!